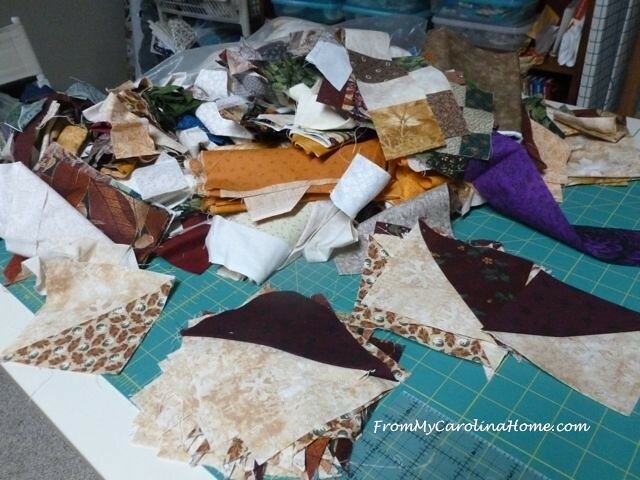 Going through the scrap pile to make order out of chaos, I found a good number of half square triangles I could use in a project. Remember this mess? There were a lot more half square triangles in that pile than I remembered ever having. I pulled them all out, and squared them all to the same size. I found a group with all the same light fabric, so I pulled those out first. Then, I started playing around with laying them out to see what would happen. 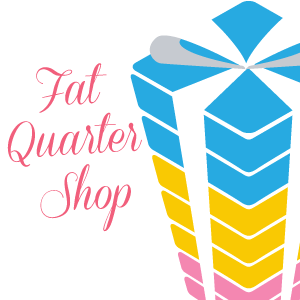 The diamond shape was pretty easy to get, and I remembered seeing a quilt somewhere, at a show or on the internet, of an offset diamond that runs off the edge. So I tried that. Yes, I like that! But I knew with a limited number of prints, it would be important to keep them all straight. 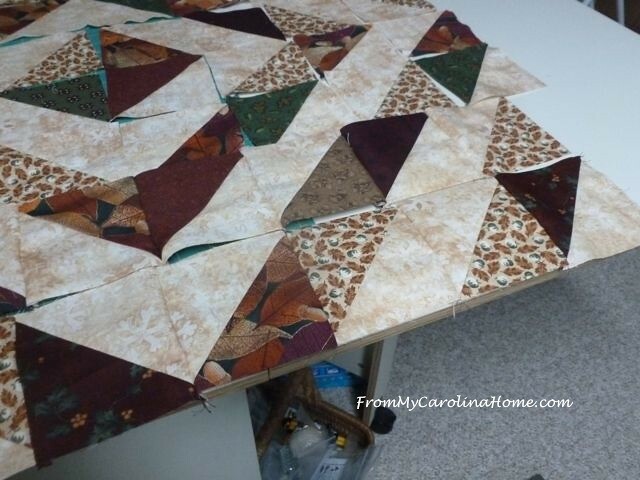 I don’t have any more to of that background print to make more HSTs, or at least I don’t think I do, LOL!! 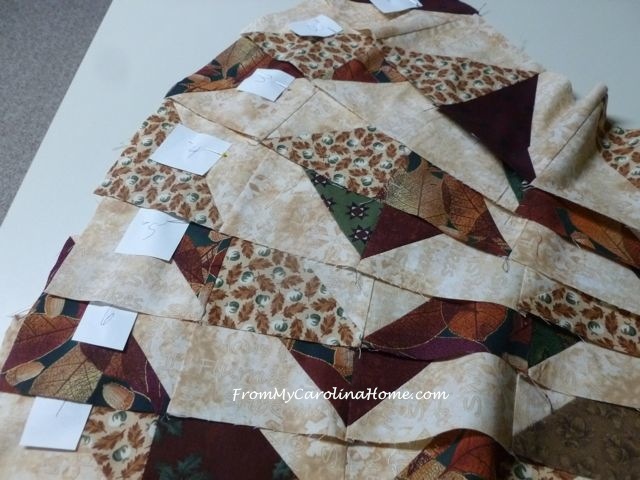 I started by sewing each row independently. Then I numbered the rows with little bits of paper held on with a pin on the left side of each row. Then I pressed all the even rows one way and the odd rows the other so the seams would nest. 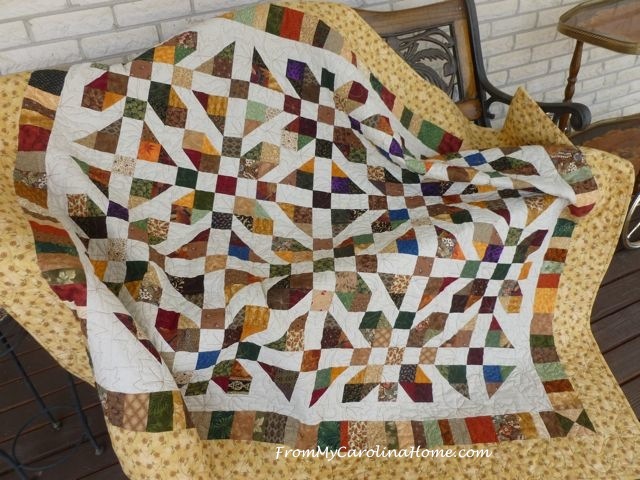 Here it is so far, I need to look at some borders now to make it lap size for a charity quilt. 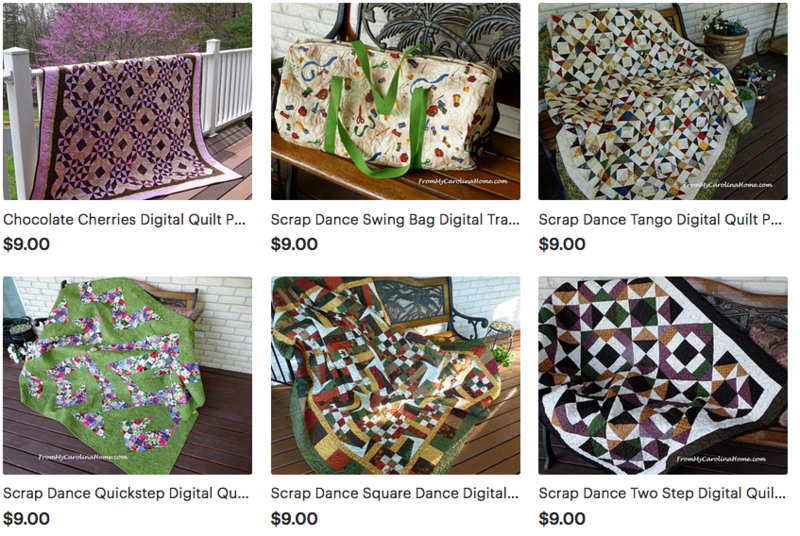 I think I have enough HSTs that I found while pressing to get one more row too. So we will call this a work in progress, more later! See the finish HERE. Love it!! 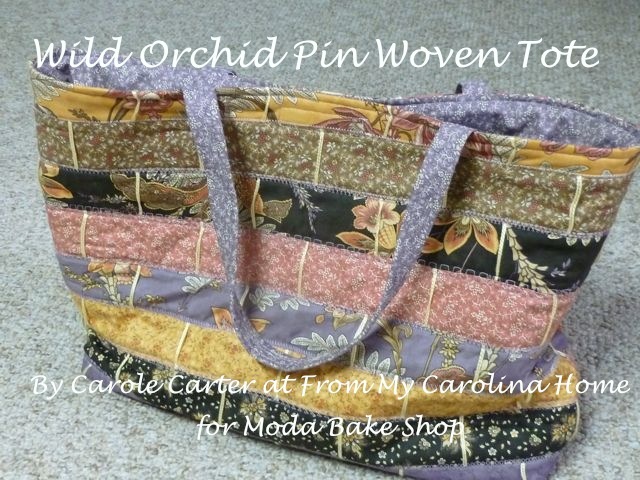 I want to do something similar with my leftover 30’s fabric. 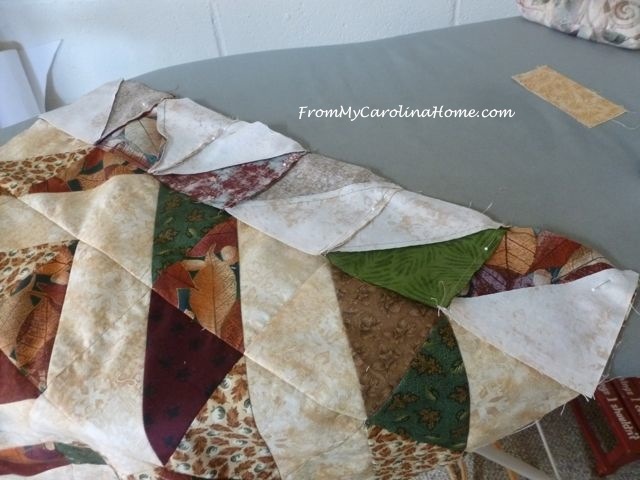 Okay so I feel better …..I just asked on my blog if using left-over half square triangles makes me qualify as a hoarder! If I am, I’m in good company! lol As usual you are doing a terrific job! That really looks nice. 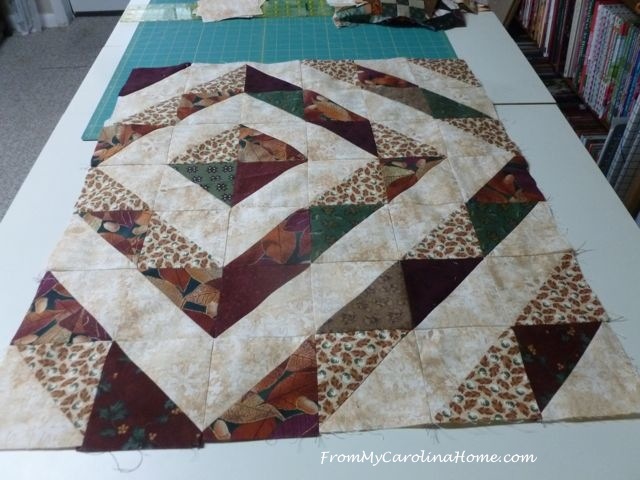 I like that layout with log cabin blocks too!!! To Debbie, the commenter above- using leftovers does not make you a hoarder, refusing to use them would! Excellent WIP! 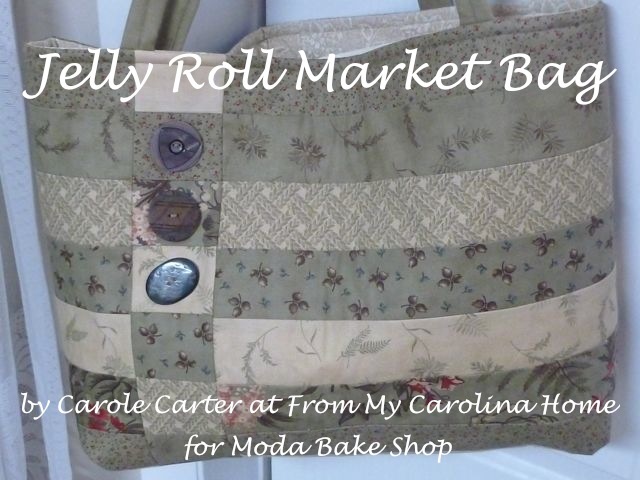 Especially since it is made with such beautiful fabrics and will be donated to a charity! 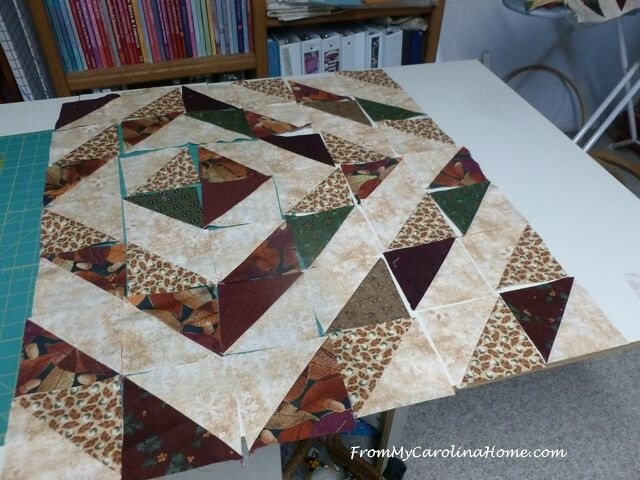 I ran across a group of half square triangles while going through some scraps, but there were just a few…will just have to think of something else to do with them. Thanks for sharing and have a wonderful creative day! I like the setting. Nice fabric. Like your blog also. So beautiful. Love the colors!!! HSTs are so versatile aren’t they? I really like the off centre diamond design. 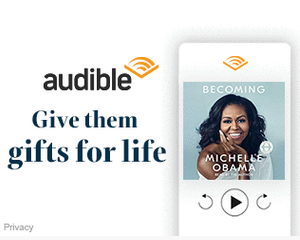 I like what you’ve done with it so far. I think it’s going to look great when finished. 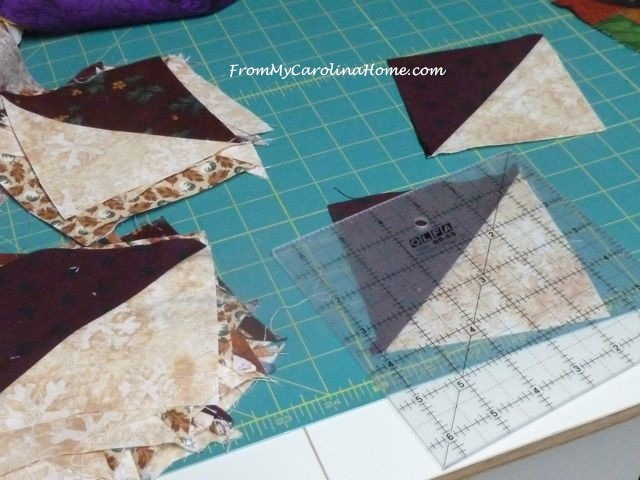 Carole, I’m really enjoying your scrap projects and watching that process! I went back & read your scrap basket article also. Thanks for putting it out there for everyone! That looks great. Half square triangles are so versatile. Lucky you having some in a scrap pile! 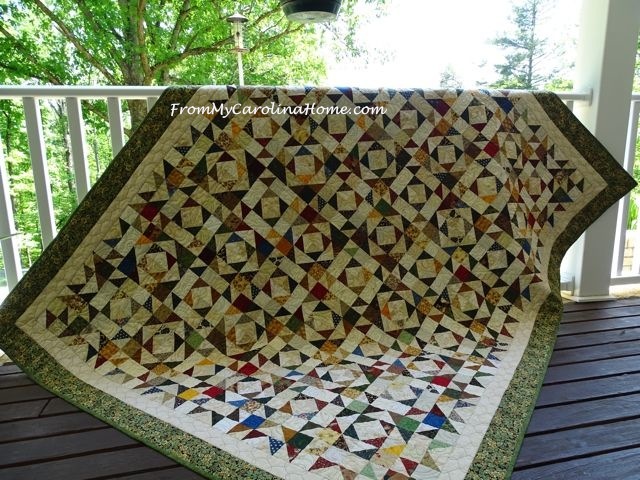 Love that quilt … looks like it was planned rather than put together from leftover HSTs found in your scrap bag!